With the snowy weather of the past week and the drastic changes in temperature we’ve been having, the weather ends up giving us a few gems in terms of scenes with interesting light and dynamics. The sun was peeking out mid-day while the fog over the Middle Bridge and the downtown area was still strong. 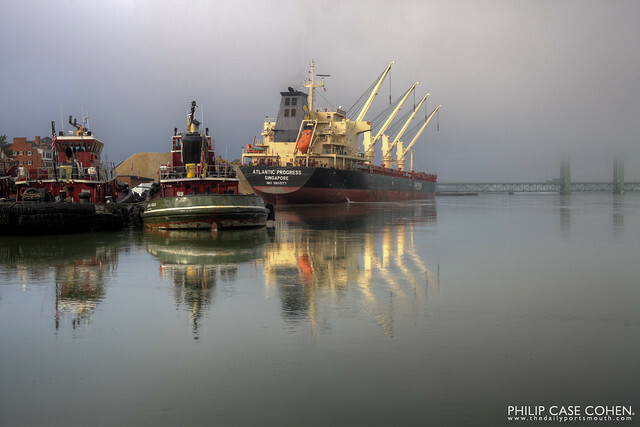 The glassy look to the water helps make this mirrored scene a bit more interesting while the fog made sure it still had a few elements of mystery.